Did Bill Gates Jump on the Trump Train to ride FIRST CLASS? Did Bill Gates Jump on the Trump Train? Did Bill Gates just jump on the Trump Train? One of America’s pre-eminent Liberals, thinks highly of President-elect Trump’s actions to date, at least according to The Hill. Bill Gates said Tuesday that President-elect Donald Trump’s potential to bring innovation to the U.S. resembles that of President John F. Kennedy’s. Gates, the billionaire Microsoft founder and philanthropist, told CNBC that Trump can lead the U.S. “through innovation” and compared Trump’s ideas to Kennedy’s expansion of the U.S. space program in the early 1960s. 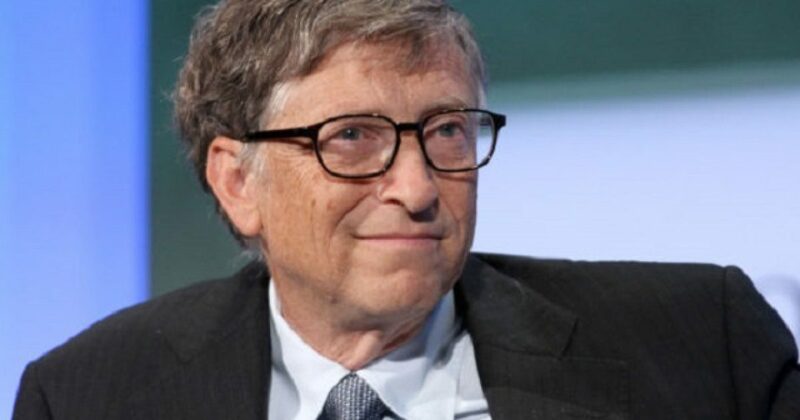 “But in the same way President Kennedy talked about the space mission and got the country behind that, I think whether it’s education or stopping epidemics … [or] in this energy space, there can be a very upbeat message that [Trump’s] administration [is] going to organizing things, get rid of regulatory barriers, and have American leadership through innovation,” Gates said. Allow me to translate from the language of “Liberal Asscrack.” Gates is impressed with Trump. The well-documented exploits of Trump is rifling (pun intended) through the Liberal community. The very people who were bamboozled by the media tropes that Trump was an idiot, are not hopping on the Trump train without need of a trampoline. These Leftists have a new glide in their strides, dips in the hips as they join the Trump Mothership. Some took notice of Trump saving jobs at Carrier. Even more packed their bag and hit the train station when Trump got SoftBank to agree to invest $50 billion in the United States and create 50,000 non-migrant worker jobs to the economy. Gates and other Leftists know that Trump is saving or creating (for real) high-tech and other good jobs, and not the nonsense jobs Obama touts. Gates, who recently spoke to Trump for the first time on the phone, said he expects to be in touch with the president-elect again in the future. Innovation. Now there’s a word that’s gone unused when it comes to discussing Obama. I’d say that 1,100 people in Indianapolis differ with Gates. Indy jobs notwithstanding, I like that Trump’s philanthropy is more private in nature. I don’t think Trump will change the core of Bill Gates, who is a dyed-in-the-wool Liberal. But undoubtedly Trump has his attention. That means Trump resonates with Leftist elites, and they are the ones who fund (or don’t) Liberals.